My children always liked this dish when they were young. 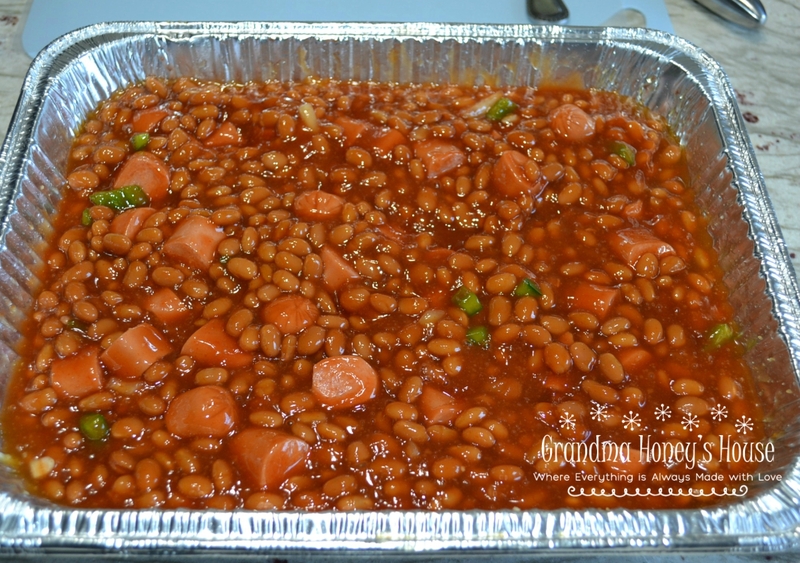 It seemed like someone brought a pan of Baked Beans and Wieners to any get together we attended.I continued to fix this recipe even though they are all now adults. This past week, when we went to Easter dinner at my daughters, I made several sides and this was one of them. 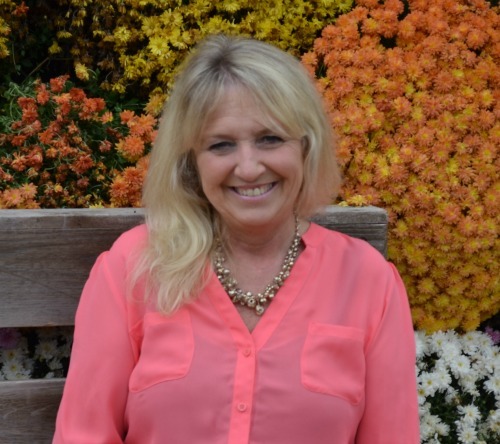 I used a large can of beans, but this recipe can be altered for any size can of beans. Pardon the disposable aluminum pan, but these are so handy. peppers, ketchup, and brown sugar. Stir to combine. Cut the beef franks into pieces and stir into the beans. could also be used as a main dish. Add a salad and some mashed potatoes for a comfort food, inexpensive meal. Spray a large baking dish with no stick cooking spray. 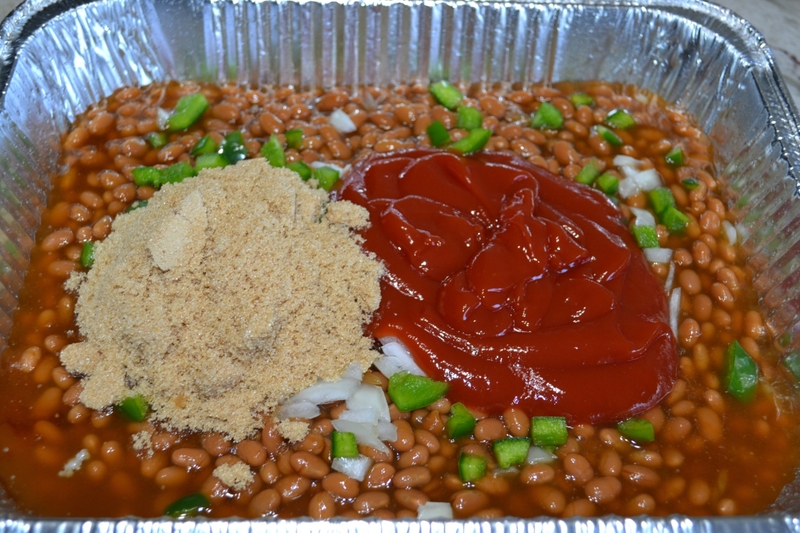 Preheat oven to 350 degrees F.
In a large bowl or pan, combine the beans, onions, green bell pepper, ketchup, and brown sugar. 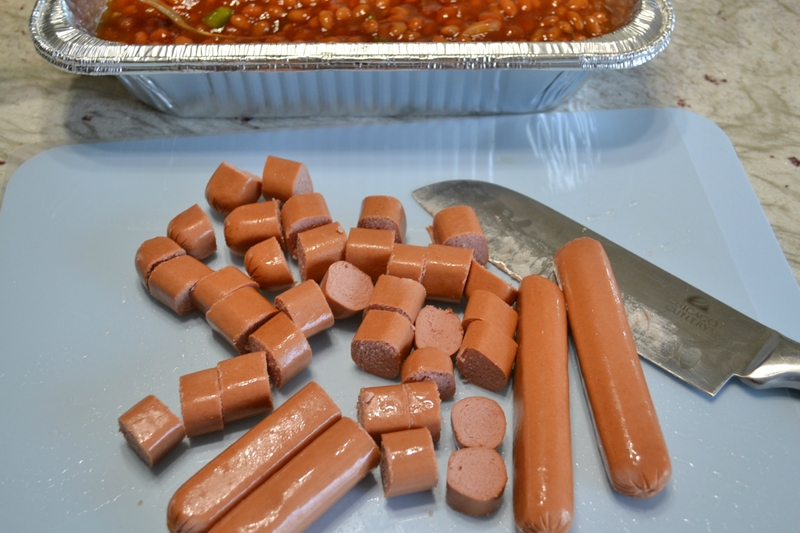 Cut franks into desired size pieces. Stir into the beans. Bake for about 40 minutes, or until beans are hot and bubbly.